The lovely Keystone Hideout fifth wheel was designed to offer you with a delightful living experience wherever you are. 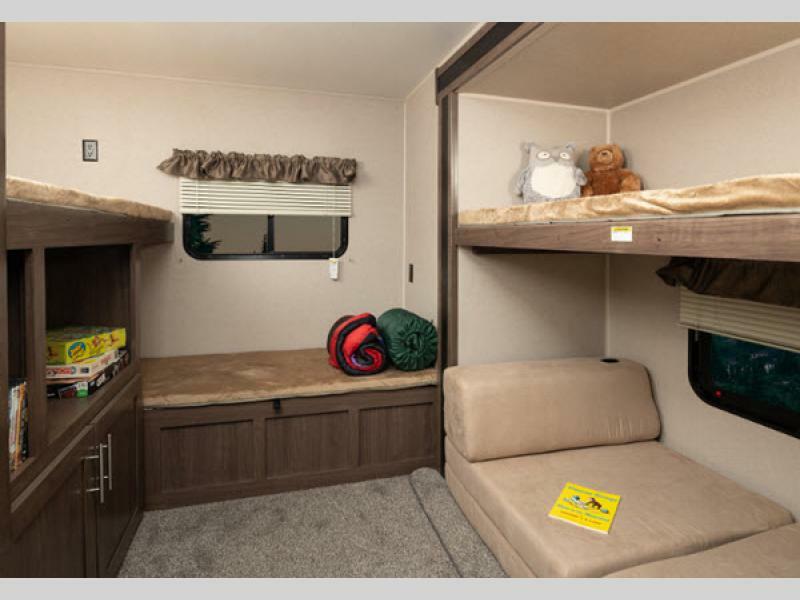 With a wide range of floorplans that work for anyone from small families to large families, there is sure to be a Hideout fifth wheel that works for you. Read our Keystone Hideout fifth wheel review to learn more. There is so much to love about the Hideout’s bedroom. In fact, every Hideout floorplan comes with a spacious private bedroom that promises you a place to rest and relax at the end of the day. Depending on the floorplan you choose, you can also get . Bunkhouse, which provides a separate space for the kids to relax and unwind. One of the biggest benefits of this space is that it keeps the kids out of your hair. Whether you’re getting up to rise and shine or you’re winding down for the night, a comfortable, spacious bathroom is an important part of your daily routine. 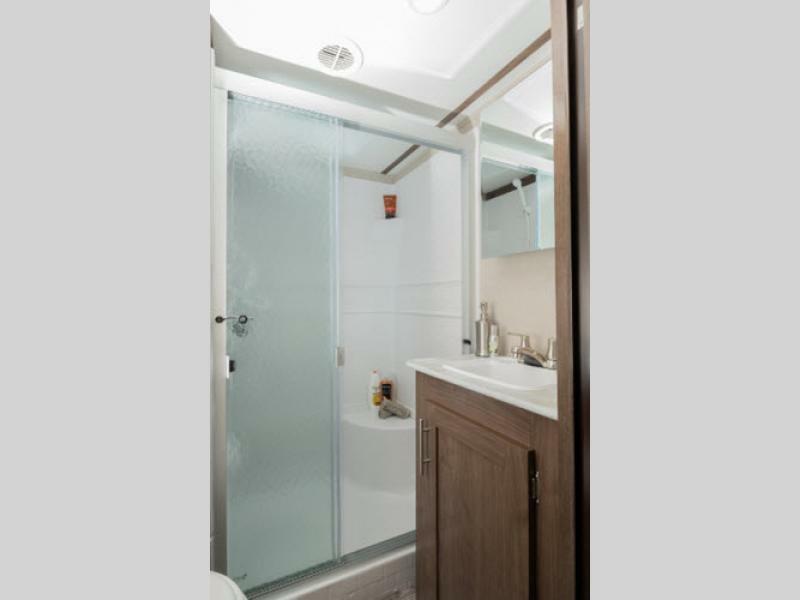 You will love how this bathroom offers you space for everything and offers an inviting space to get ready to take on the day. A spacious kitchen is an important part of enjoying your RV. The Hideout’s kitchen comes with everything you need and then some to enjoy cooking great meals for the entire family. 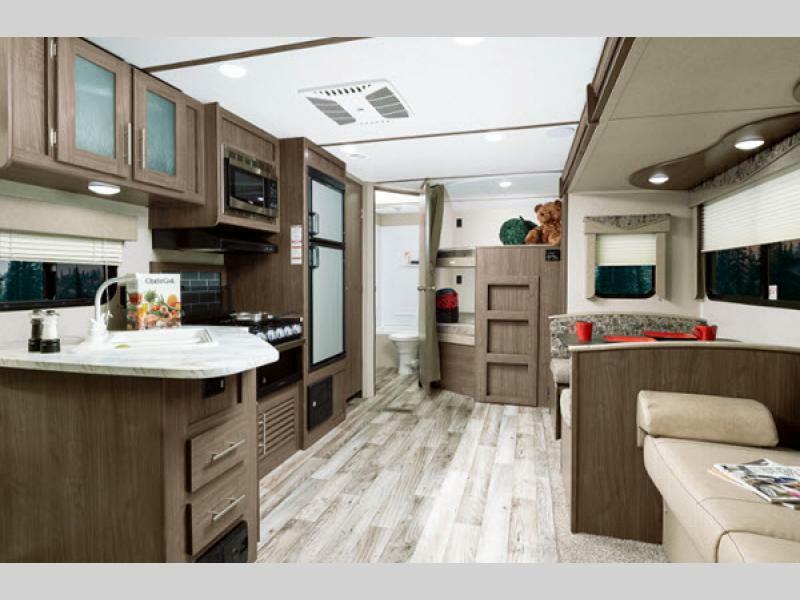 From the spacious countertops to the great appliances, you can’t go wrong with this RV. Stop by your local farmers market to pick up local veggies that are in season and then cook them up in your own kitchen. Don’t feel like cooking? Grab carry out and have everything you need to enjoy it right at your fingertips. If you’re interested in learning more about our selection of Keystone Hideout fifth wheels for sale, contact us. We are here to answer any questions you have and make sure you have the information needed to make the best decision for your needs. We can also assist in RV financing.